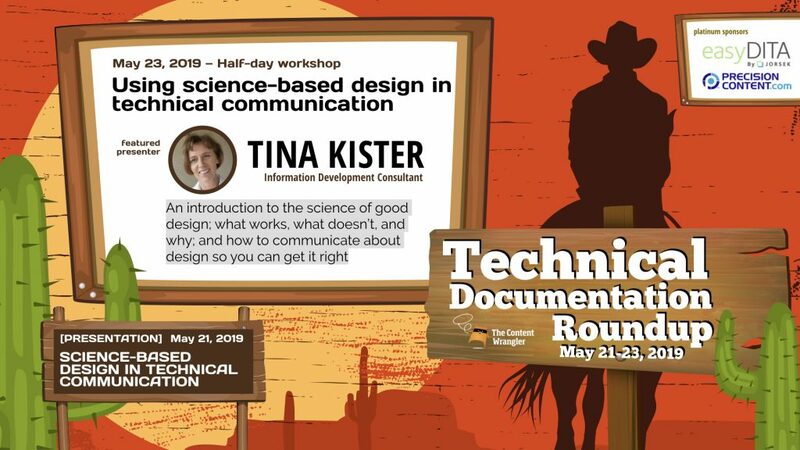 The Content Wrangler will host a new conference, Technical Documentation RoundUp 2019, an intimate gathering of technical communication professionals interested in learning how modern tech comm shops create, manage, and deliver technical content. The RoundUp takes place at the Quadrus Conference Center in Menlo Park, CA May 21-23. The event features two days of interviews, discussions, and topic-based presentations, followed by a full day of educational mini-workshops. 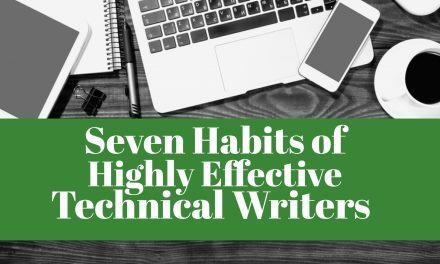 This three-day event is designed to educate and empower individual technical communicators and to provide them with science-based methods to increase personal productivity, techniques they can use to build mindfulness, and leverage compassion and empathy. Attendees will leave with a better understanding of human beings, how they are wired, and the art of influencing and satisfying them. Of course, we’ll also showcase a variety of topic-based presentations relevant to technical documentation professionals and their leaders, as well as one-on-one interviews with subject matter experts, demonstrations of technical communication software products, case studies, lessons learned, birds-of-a-feather discussions, and opportunities for networking and socializing. The event is designed to serve technical documentation team leaders with actionable scientific methods for selecting the right candidates. Managers will discover evidence-based techniques to help them build high-performing documentation teams and they will learn lessons from other leaders in similar jobs across different industry sectors. The Conference + Workshops pass provide attendees with access to two days of conference presentations and several educational workshops from which attendees may elect to attend. Grab your ticket today! Creating Plain Language Content — Learn plain language methods for creating content that makes it easier for you to write and satisfies your customers. 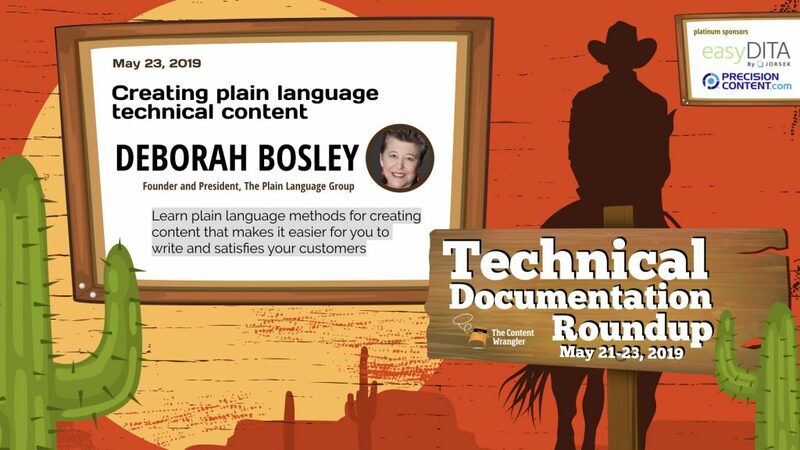 Plain language expert Deborah Bosley takes you through conversations, discussions, and practice, to help you make your content clearer, more efficient, and more effective. Time Management Mastery: Do More, Stress Less — A crash course in the basic principles of time management, and how to actually apply them at work and at home so that you are able to do more and stress less. 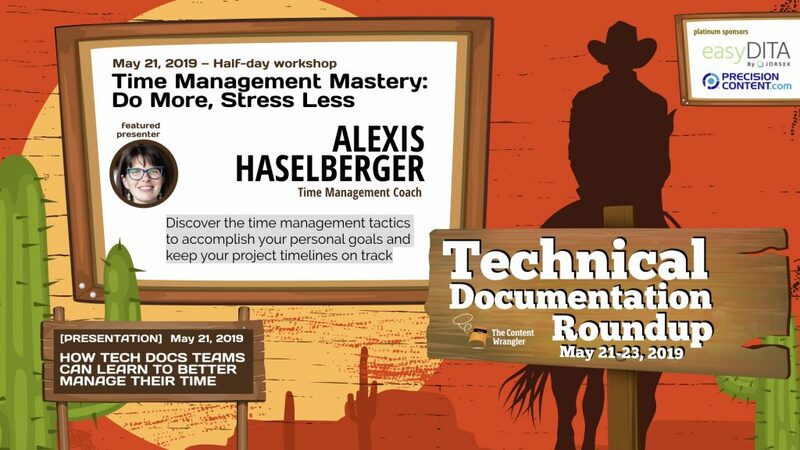 Through interactive activities, time management guru, Alexis Haselberger, will provide you with an action plan that will allow you to move from theory to practice quickly and efficiently. Science-based Design in Technical Communication — Technical communication design guru, Tina Kister, provides an introduction to the scientific principles of good design that will teach you to objectively assess the quality and effectiveness of visual design choices, and provides tips for communicating about design in ways that enable success. 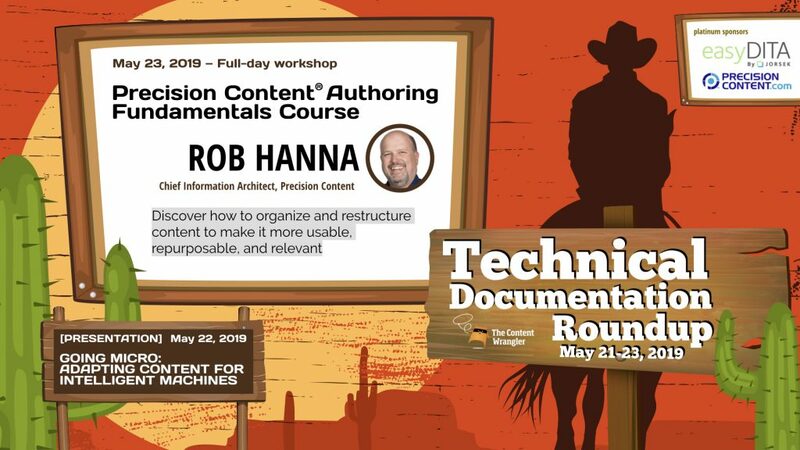 Precision Content® Authoring Fundamentals Workshop — In one day, learn the science and fundamentals of using the Precision Content writing methodology for creating effective topic-based structured content. Discover how to organize and restructure content to make it more usable, repurposable, and relevant. 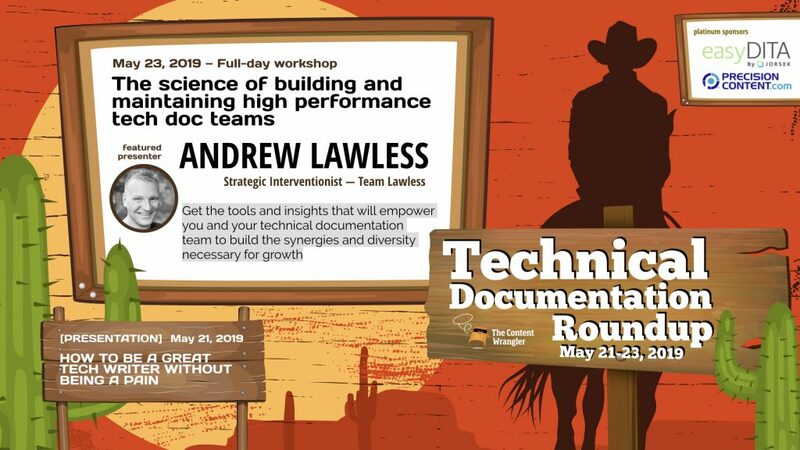 The Science of Building and Maintaining High-Performance Technical Documentation Teams — This highly interactive workshop will give you the tools and insights that will empower you and your technical documentation team to build the synergies and diversity necessary for growth. Got a great idea for a presentation? Join us! 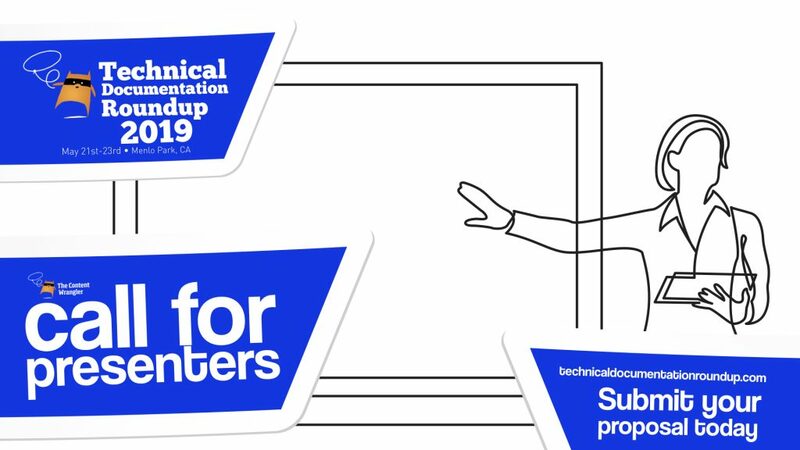 The call for presenters is open until March 18, 2019. You still have time to convince us to add you to the roster.